• White perforated leather panel under sleeve and back. • Zipper cuffs and slightly re-curved sleeves. • Exterior pockets include zipper hand-warmer pockets. • Quilted stitching on elbows. • Lightly padded back hem. 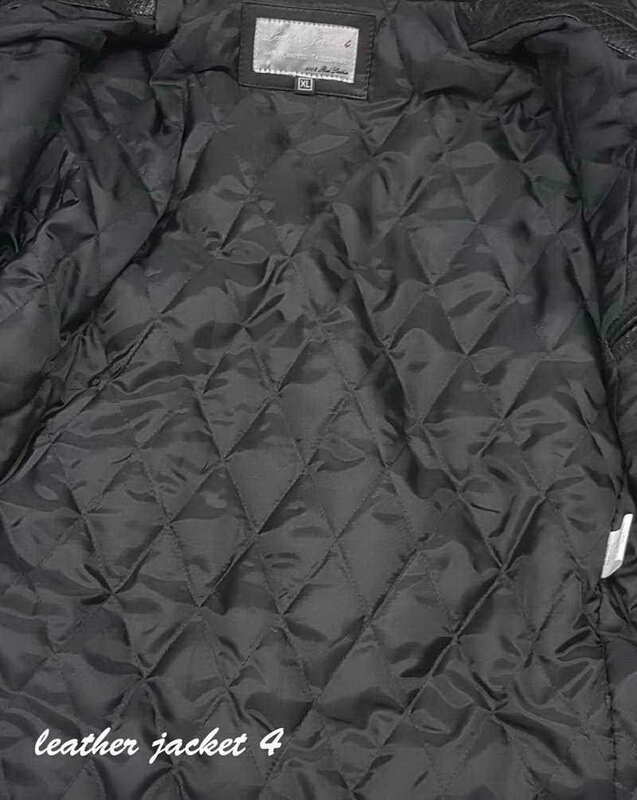 • Fully lined interior; 100% polyester body lining and 100% polyester sleeve lining. 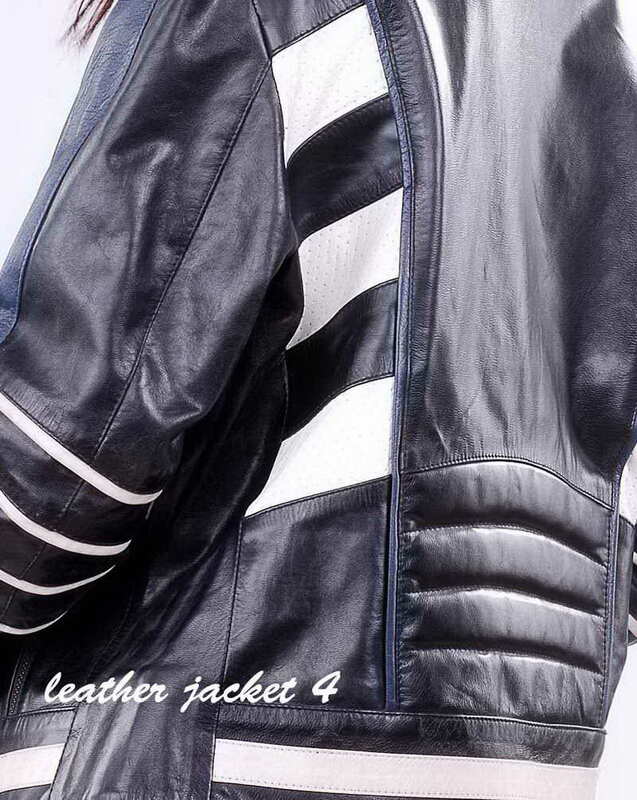 Black and white with blue stripe look red hot on the Isabella Ladies Motorbike Leather Jacket. Ladies, you'll cheer for the sporty look of the contrasting leather and perforated leather accents. Style points are also scored for built-tough rivets on this leather motorcycle jacket. This jacket crafted from Lightweight goatskin leather with a polyester twill lining.